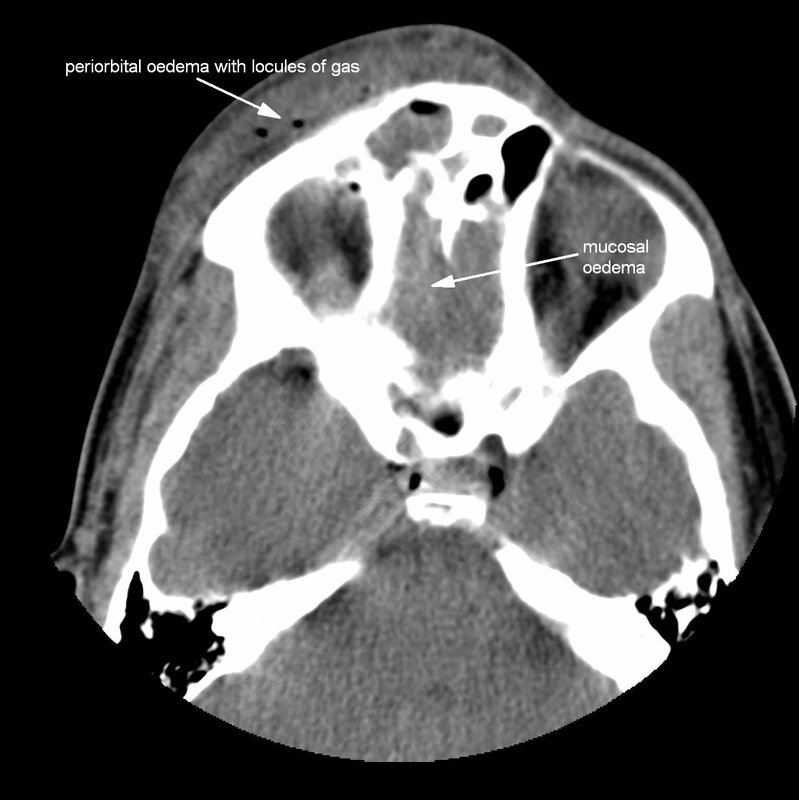 This pathway provides guidance on the imaging of patients with acute sinusitis. 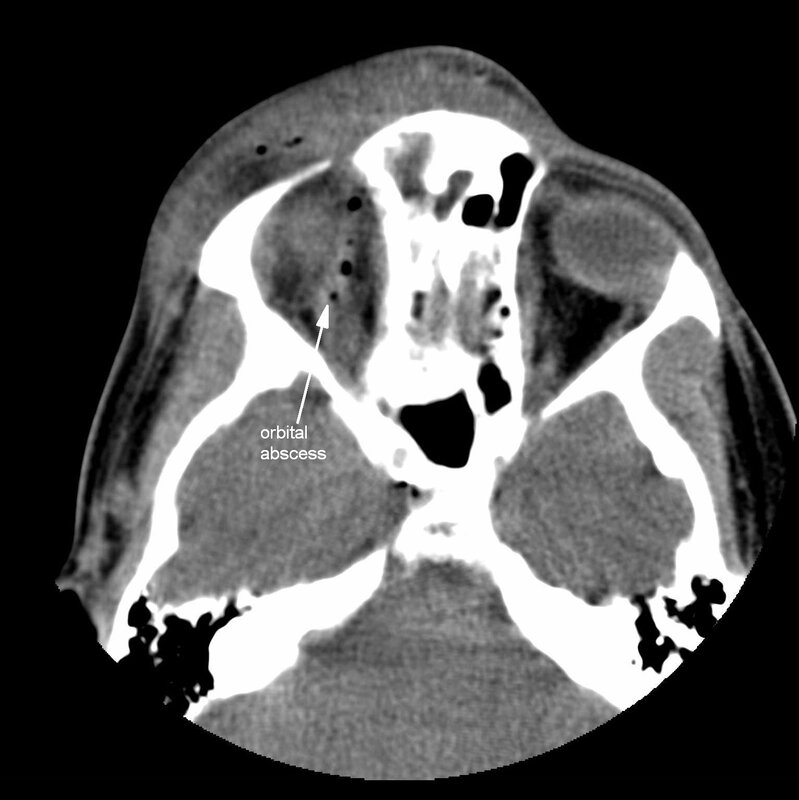 Image 1a, b ,c and d (Computed Tomography): Gross preseptal and subcutaneous oedema affecting the right upper cheek and periorbital tissues. Mild right proposis. 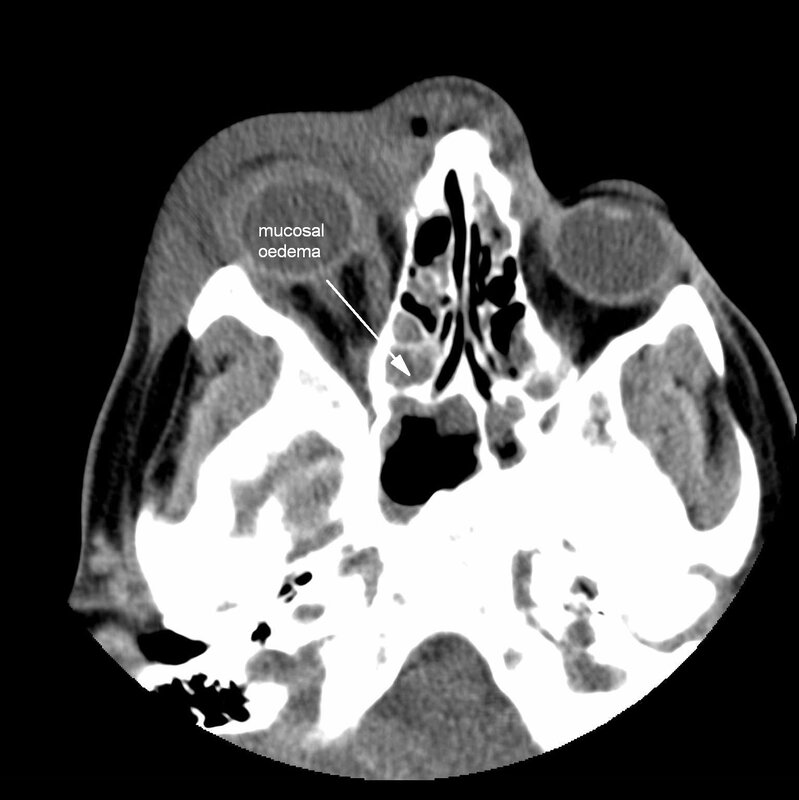 Post-septal abscess seen between the lateral rectus and the postero-lateral aspect of the right globe. 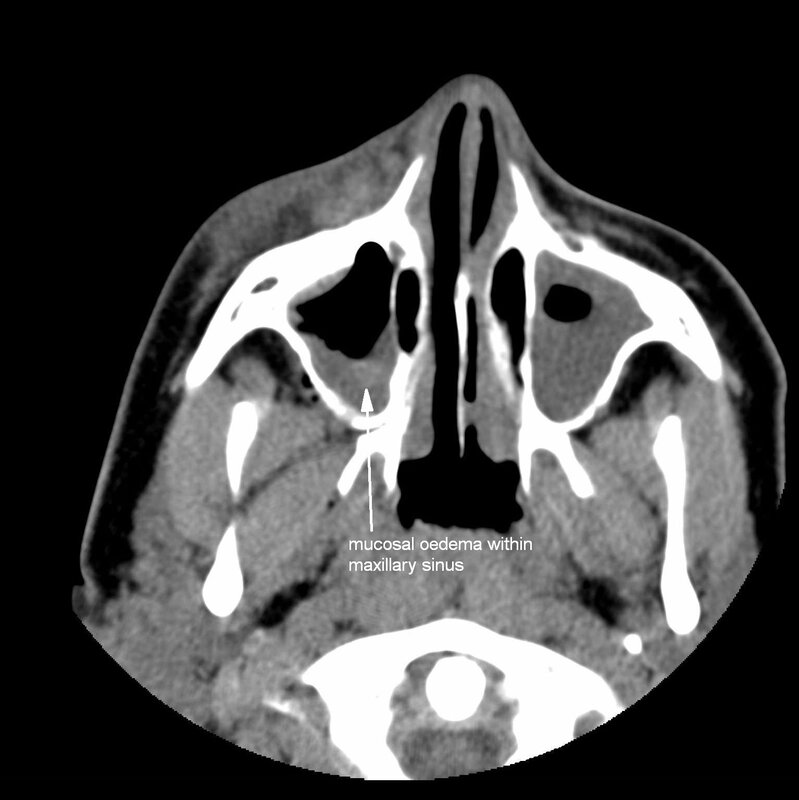 Pansinusitis with fluid levels within each sinus group indicating active suppuration. Numourous locules of gas within the subcutaneous oedema, the right orbit, and tracking through the right optic canal.